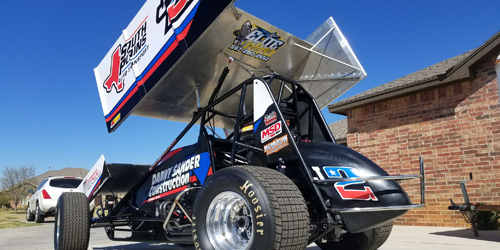 Lonnie Wheatley, EL PASO, Texas (April 4, 2019) – After the scheduled-season opening event at Devil’s Bowl Speedway fell victim to Mother Nature in March, John Carney II finally gets to hit the track with this weekend’s $14,000-to-win NCRA Sprint Car “Park City Cup/Air Capital Shootout” at Wichita, Kansas’ 81 Speedway. 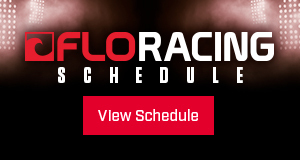 The event takes place on Friday and Saturday atop the 3/8-mile clay oval with the $14,000-to-win finale on Saturday following a $1,500-to-win card on Friday night. Carney, who is set to take on the entire Lucas Oil ASCS National Tour this year, has made several visits to 81 Speedway in the past. And, while the speed has been there, the luck certainly hasn’t. In one instance, Carney started the Air Capital Shootout feature from the pole position only to have the brakes fall off at the start. Another time, he was leading only to have an engine failure midway through the race. And on another occasion, a too tight car and windy conditions led to sliding off the track and flipping. 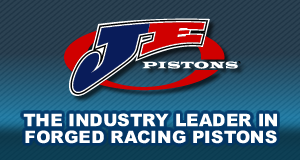 John Carney Racing is made possible by the support of invaluable partners including Danny Sander Construction, South Plains Auto Transport, Mesilla Valley Transportation, Jackson Compaction, Vado Speedway Park, CSR Garage, Momentum Racing Suspensions, Performance Plus, Performance Motor Coach, Raider Graphix, MSD Ignition, Joe Hunt Magnetos and Bell Helmets. Next Up: NCRA Sprint Cars “Park City Cup/Air Capital Shootout” at 81 Speedway in Wichita, KS, on Friday and Saturday. 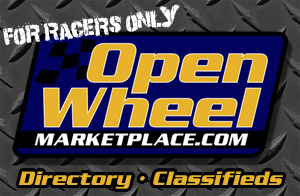 Keep Track: Keep track of John Carney II’s on-track action including schedule and results on Facebook at https://www.facebook.com/JohnCarneyRacing/. If you would like John Carney Racing press releases e-mailed directly to you, send your e-mail address to Lonnie Wheatley at lonniewheatley@gmail.com.